Daniel Califf is a retired American soccer player. Califf has played for the United States national team at every level from the U-17’s to the senior team. He has appeared in the 1997 FIFA U-17 World Championship, the 1999 World Youth Championship, and the 2000 Olympic team. Additionally, he has appeared in 20 games for the full national team, getting his first cap against South Korea on January 19, 2002. 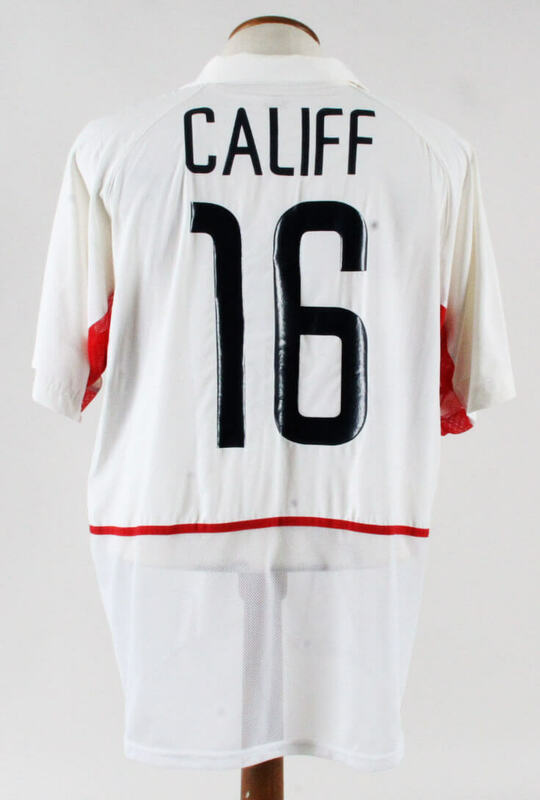 Presented is one of Califf’s game-issued USA jerseys for the Confederations Cup Tournament in 2003. All the detailing indicates it is an official shirt but it was not used in the game. 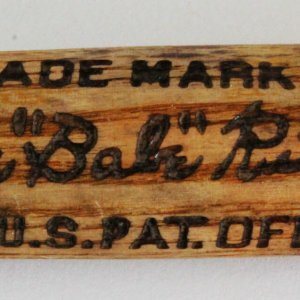 The jersey was attributed to a match against Brazil however he did not play in this game. The white shirt is a combo-mesh style made by Nike [size XL].The identifiers are heat applied and are made of a special rubber material. The USA badge and the Nike logo are sewn-on to the chest. There are Nike club tags in the inside seam which include exclusive codes and wash instructions. It was made in Mexico. There is also a FIFA France 2003 patch on the right sleeve. The back has his name “CALIFF” and jersey number “16” in blue.